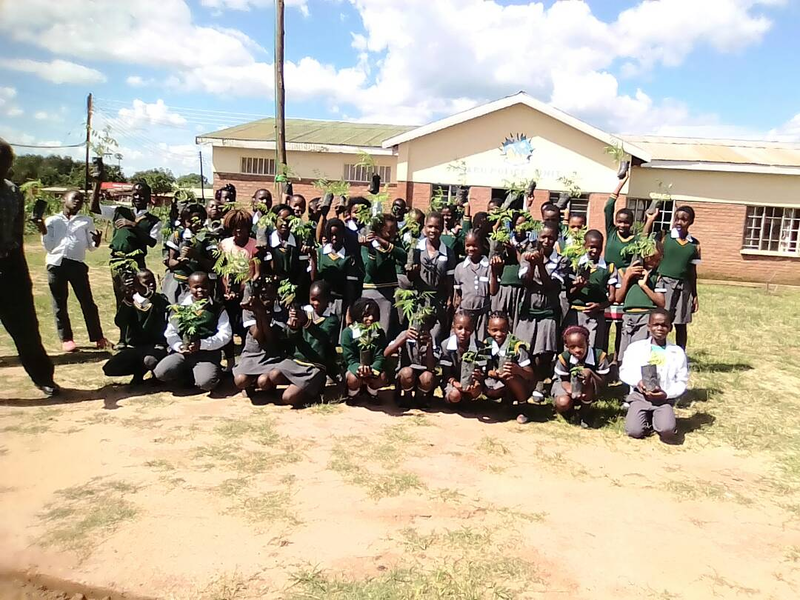 Recently, we received a photo from Memory of the primary school students who have now planted upwards of 400 APU-grown trees in their local community. They are photographed here in front of the Nsalu police station whose grounds, Memory says, have been barren ever since it was first built. This station was once a scene of violent riots not too long ago, so it seems rather special that this place should be the site of one of their peaceful plantings.